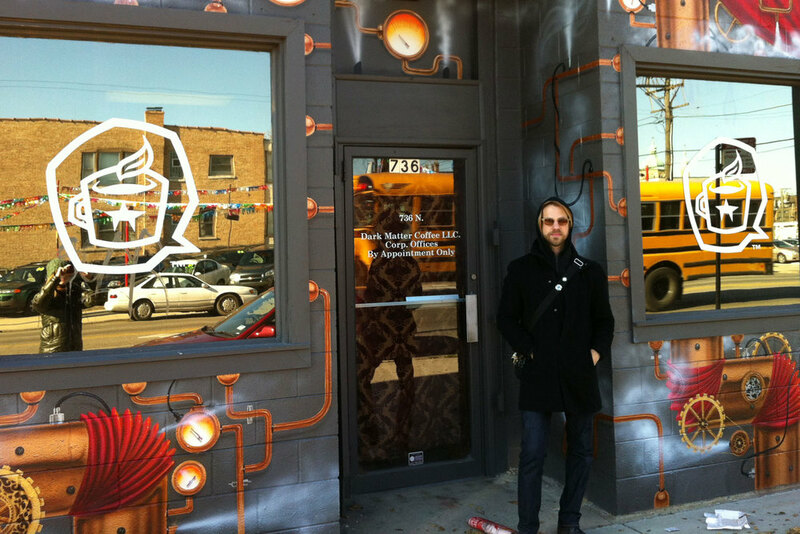 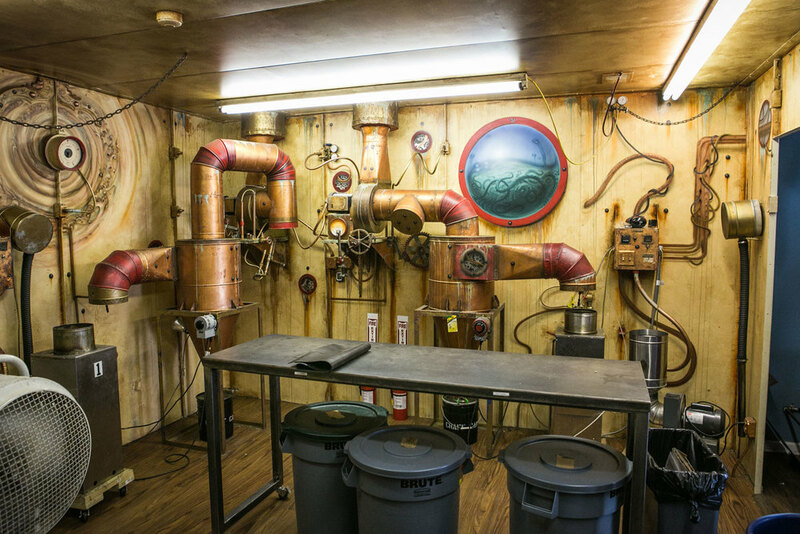 Dark Matter Coffee asked Jason to transform their roasting room by giving it a psychedelic-steampunk feel, so what else could Jason do but create a machine that produces Dark Matter? 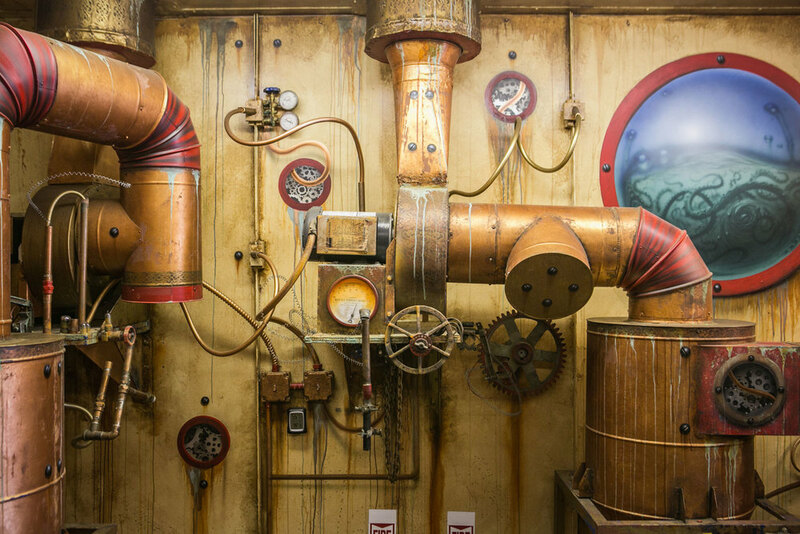 The walls and ceilings are painted to look rusted and dripping with age, and the coffee roasting machines were painted and embellished with gears, tubes, and gauges to make them look like antique contraptions. 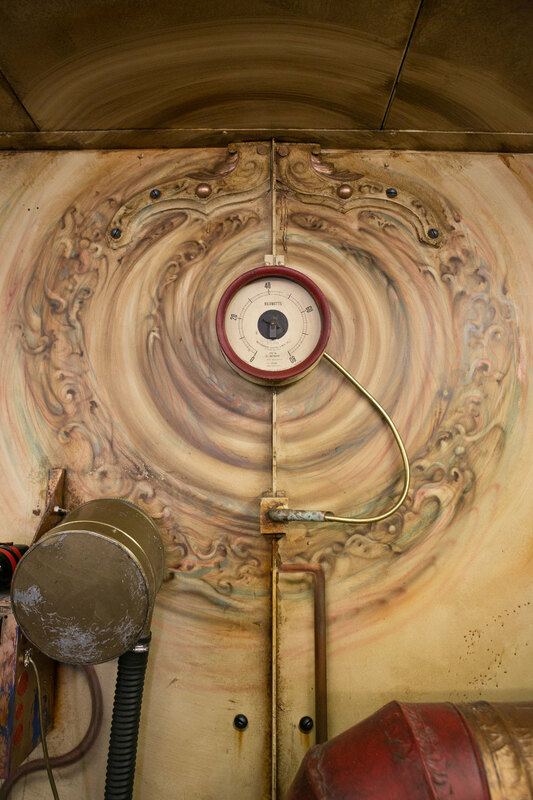 He also painted porthole windows to suggest that you are in a half submerged submarine looking out into an ocean full of tentacled creatures. 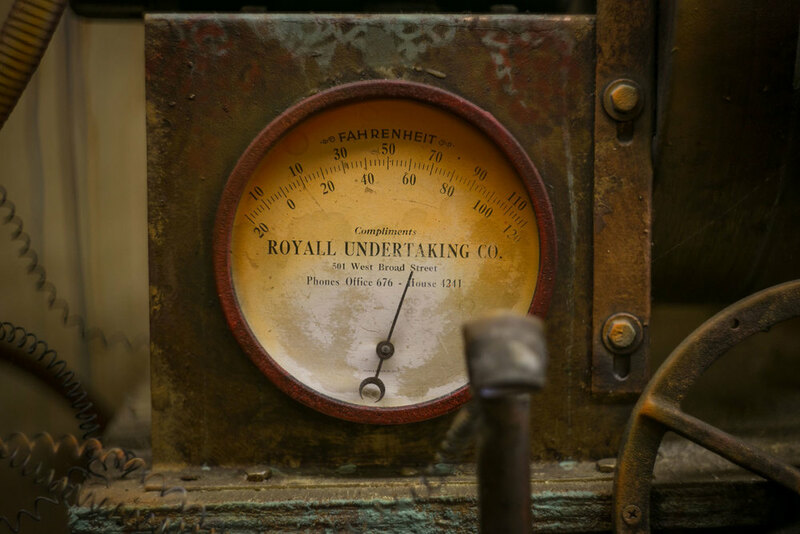 He integrated antique parts around the room to further enhance the feeling that you are in the heart of the “Dark Matter Machine”. 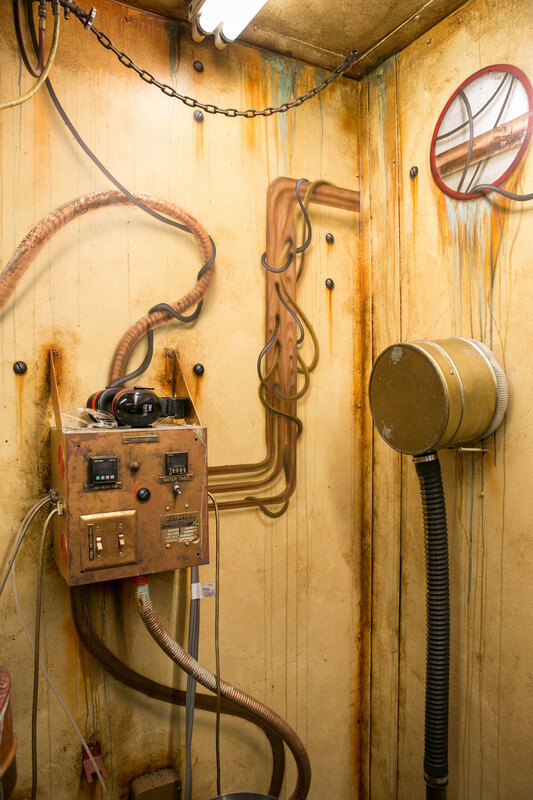 Jason discusses the origins of the Dark Matter Machine.